Bingham Farms James Hardie Siding | Bingham Farms James Hardie | Bingham Farms James Hardy Siding | Bingham Farms James Hardie Contractor | Bingham Farms Fiber Cement SidingMcGlinch & Sons CO.
Are you looking for a dependable and professional James Hardie siding contractor? McGlinch & Sons is a family-owned business, and has been since 1917! Whether it’s the James Hardie siding or James Hardie fiber cement siding, McGlinch & Sons has you covered! Our team is made up of trained expert James Hardie contractors, who always finish the job with a happy customer. Our Bingham Farms customers know that we will always deliver the highest quality of James Hardie siding materials and craftsmanship. McGlinch & Sons is devoted to always ensuring that our customers are happy when they chose us for their James Hardy Siding! Bingham Farms, Michigan is a village within Southfield Township, Oakland county and has about 1,115 people living there. McGlinch & Sons is known for our James Hardie Products that we have available since they are the nations #1 brand of siding! McGlinch & Sons always makes sure that our customers are given the absolute best James Hardie Siding products available. We do our best to provide the most satisfactory work out there done by our James Hardie contractor, and that’s why our Bingham Farms customers appreciate us and our work! They also love our hard working team of professional craftsmen who are always doing their best to satisfy our customers! McGlinch & Sons has been a BBB (Better Business Bureau) Accredited Business since 1986, with an A+ rating! Plus, living in Michigan involves lots of weathers changes, which can cause a lot of wear and tear to your home’s siding. However, James Hardy Siding will last longer than any other siding! That is one of the biggest reasons why James Hardie Siding is #1. It will also stop and prevent moisture buildup caused by the snow, rain, and even humidity. So if you’re looking for the best James Hardie siding for your home or James Hardie fiber cement siding, McGlinch & Sons will always satisfy your needs! 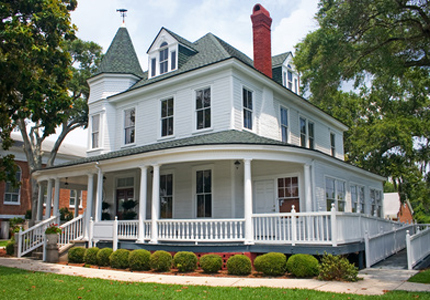 To hear more about our James Hardie Siding, call McGlinch & Sons today! Oakland (248) 987-6300; West Side (313) 278-2777 or East Side (586) 776-8912 are the numbers to dial.